Andrews McMeel Publishing, 9781449495619, 144pp. 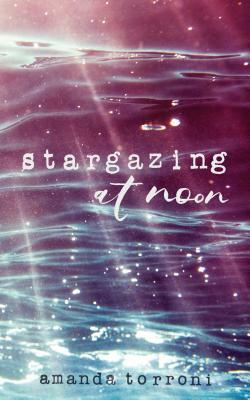 In this collection, Amanda Torroni expands on her previously published chapbook, Stargazing at Noon, adding over seventy poems and brand-new material. Torroni writes about intimacy, distance, the body, self-doubt, nostalgia, and love—both lost and found. Her poems weave disparate source material into beautiful metaphor; readers are as likely to find Plato and neurological terminology as they are moonlit lovers and broken hearts. Amanda Torroni is a graduate of the honors college at the College of Charleston, where she studied philosophy. Her creative writing career started while studying abroad in Rome, and since then she’s self-published four books, cultivated a strong following online, and read her work at venues across the country. She lives in Charleston, South Carolina, where she works as an independent writer and freelance editor.